Comment: We recently purchased some canopy lighting for our back patio and are looking to hire for installation. We have trees with eye bolts installed but are struggling to find an adequate option for anchoring on the house side (vinyl siding). We'd like to ensure installation is done properly (guide wires etc.) and professionally as opposed to our hacky attempts. Comment: I would like sand for under my aboveground pool. It is 16ft diameter and I would like it 4in to 6in depth. Comment: 20' x 20' backyard to be paved with stones. We will buy the stones. Need estimates. Comment: Need drains to road for 4 gutters and 1 simp pump. Then regrade and slope yard to prevent standing water on backyard. 10007 Old Indian Head Rd. Edgewater Landscaping Companies are rated 4.73 out of 5 based on 1,069 reviews of 32 pros. 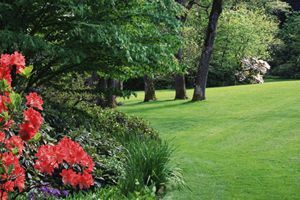 Not Looking for Landscaping Contractors in Edgewater, MD?